Kirby Chambliss near his Flying Crown Ranch in Arizona. 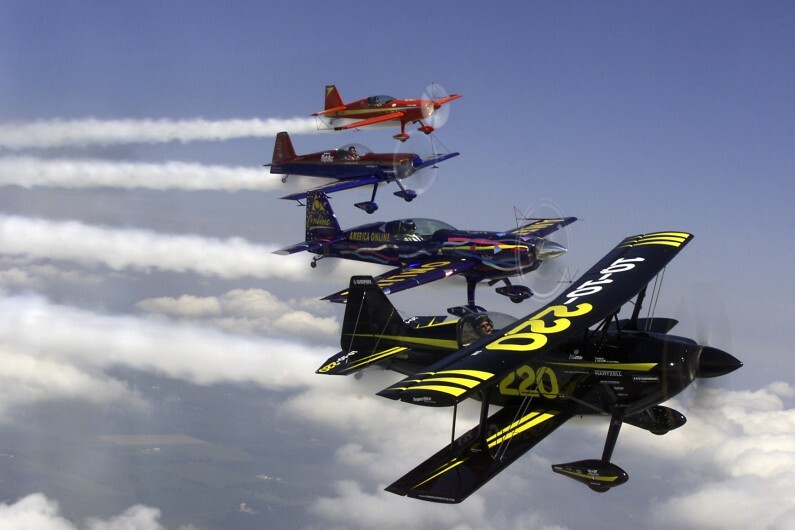 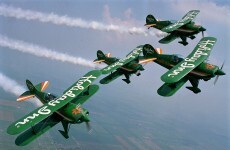 Sean D. Tucker leads the Collaborators through a loop. Sean D. Tucker at the Centennial of Flight Celebration Dayton Air Show, 2003. Career Air Show Pilots Association. 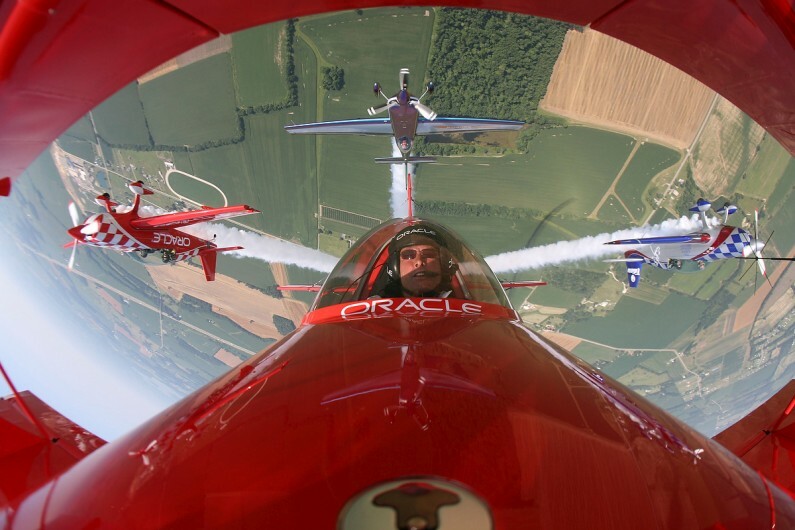 Greg Poe in formation with the Aeroshell Squadron. 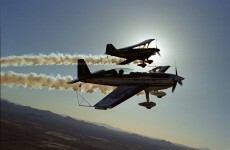 Sean D. Tucker and Patty Wagstaff fly through the sun near Tucson, Arizona. 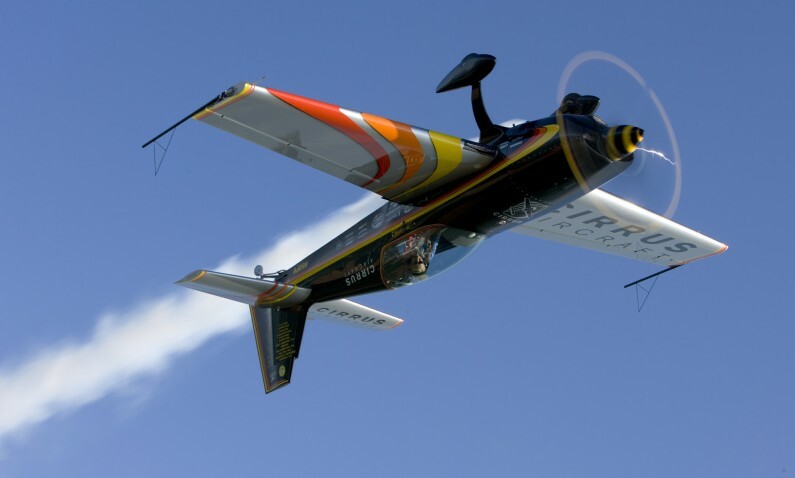 Patty Wagstaff inverted in her Extra 300S. 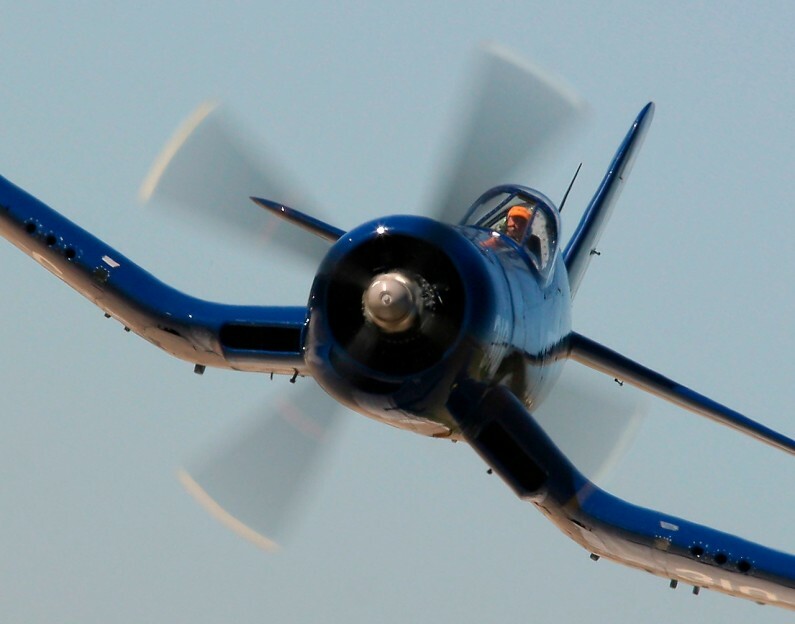 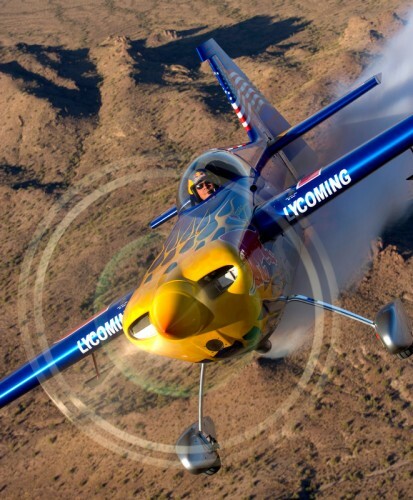 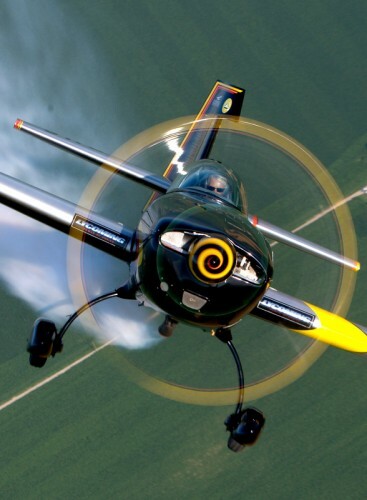 The blurred propeller arc of Patty Wagstaff's Extra 300S encompasses the sporty monoplane. 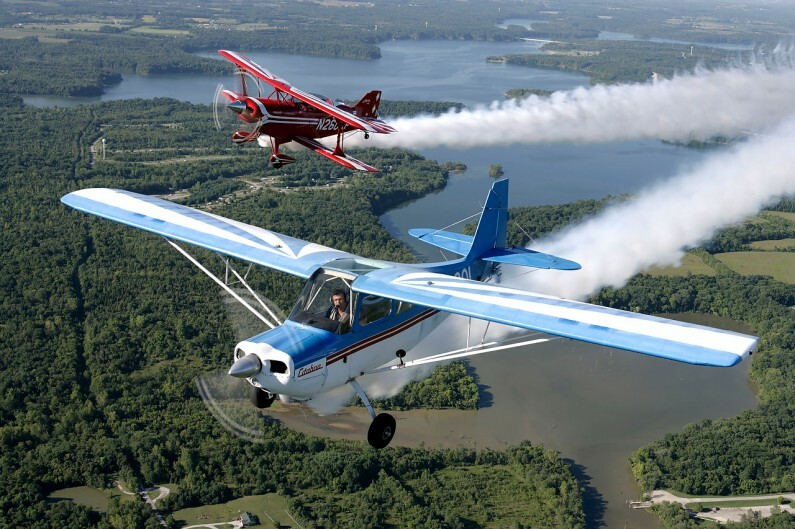 National Aviation Hall of Fame enshrinees Patty Wagstaff and Sean D. Tucker over the National Museum of the United States Air Force where the Hall of Fame is located. 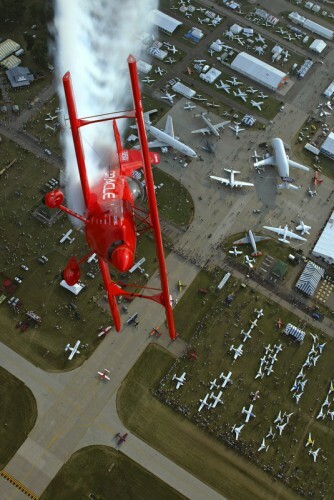 Sean D. Tucker at AirVenture, Oshkosh, Wisconsin. 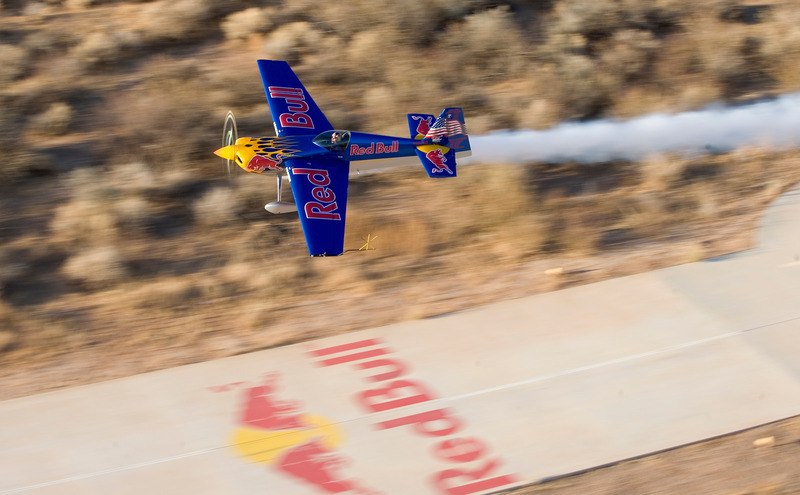 Sean D. Tucker signals his enthusiasm for flying. 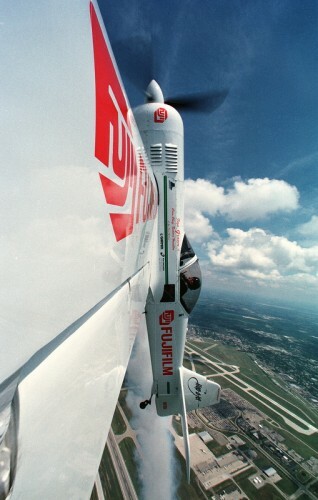 Ian Groom climbs above the Dayton Air Show. 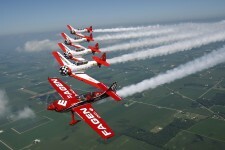 The Stars of Tomorrow practice in Piqua, Ohio. 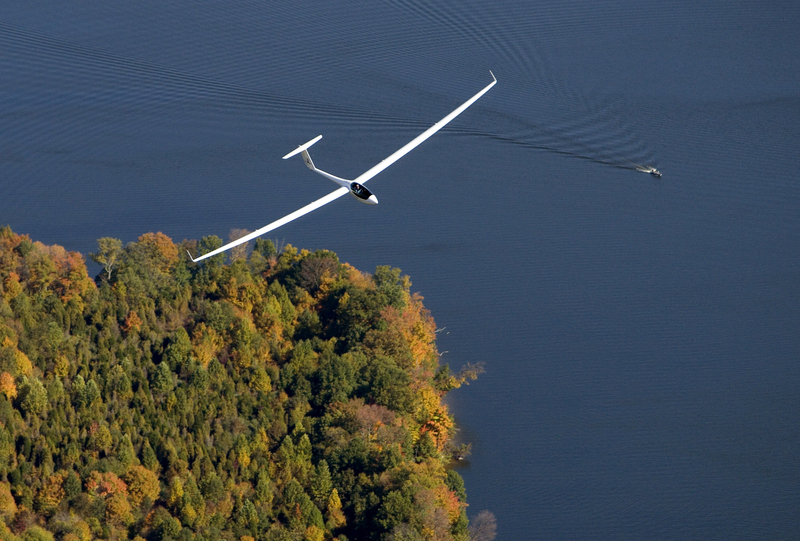 Emerson Stewart flies a wingover at Caesar Creek Lake, Ohio. 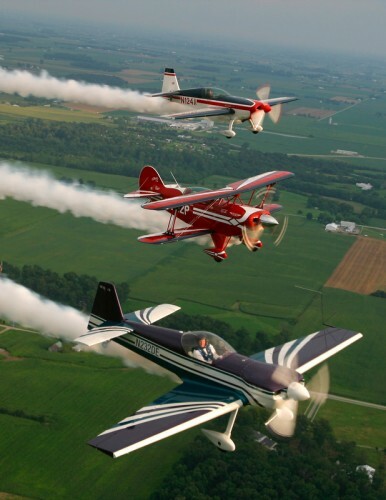 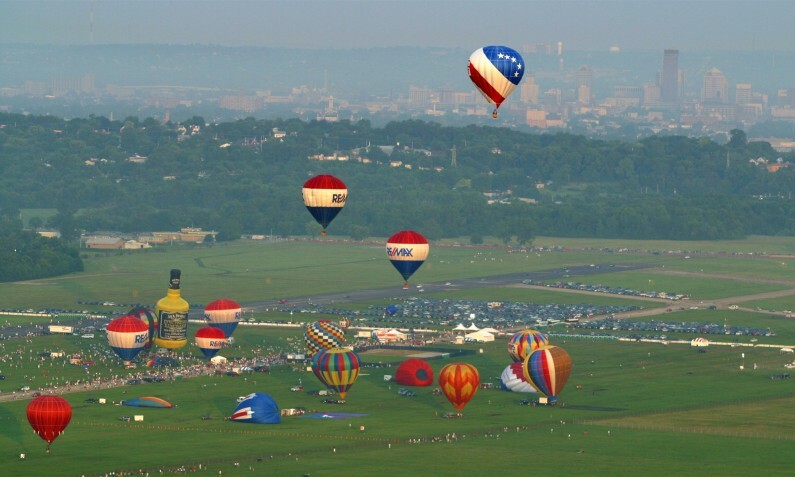 Teresa Stokes walks the wing of Gene Soucy's ShowCat over Dayton, Ohio. Brian Stoops pilots his glider over Caesar Creek Lake, Ohio. 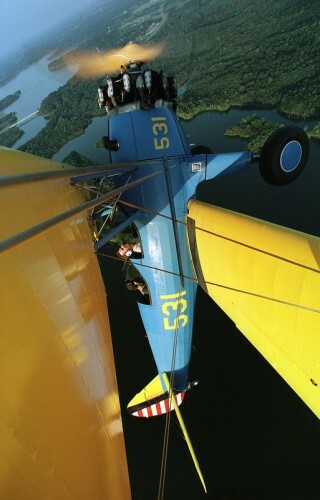 Friends and Family of Hartzell Propeller flew in formation for employee appreciation day. 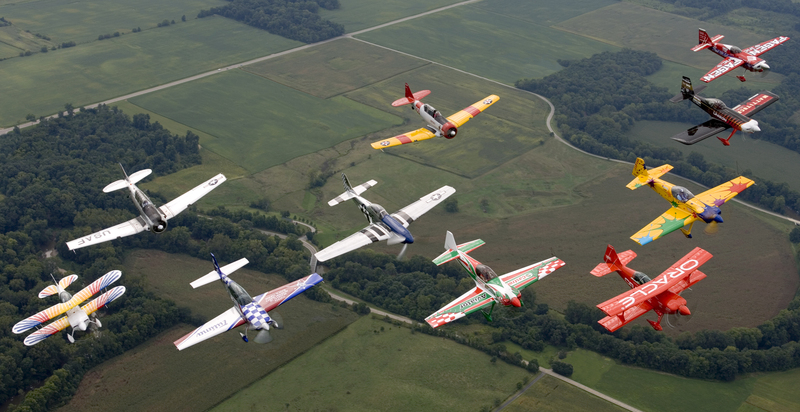 This is the largest group of airplanes I have ever photographed air-to-air. 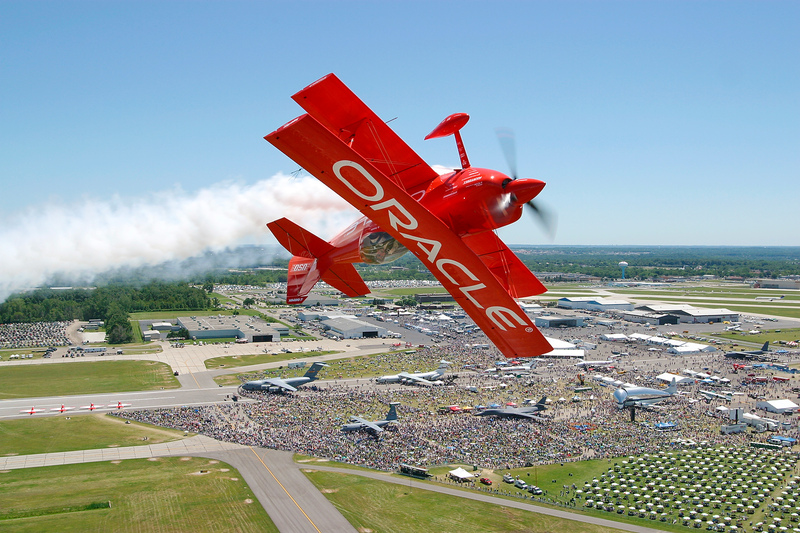 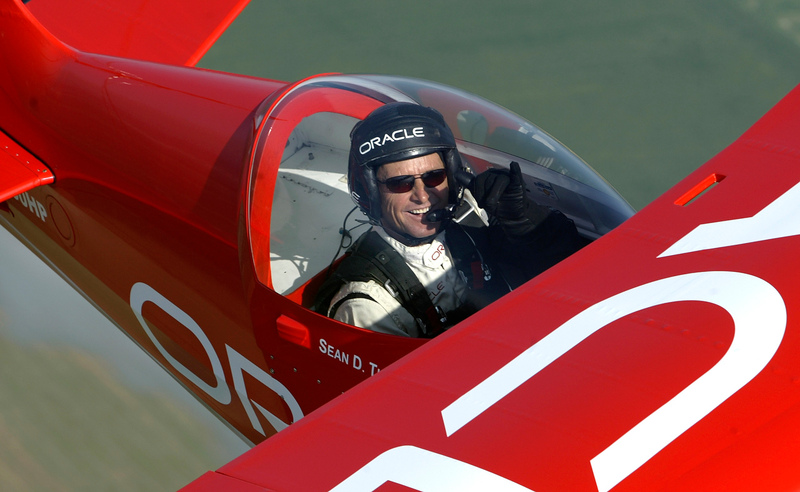 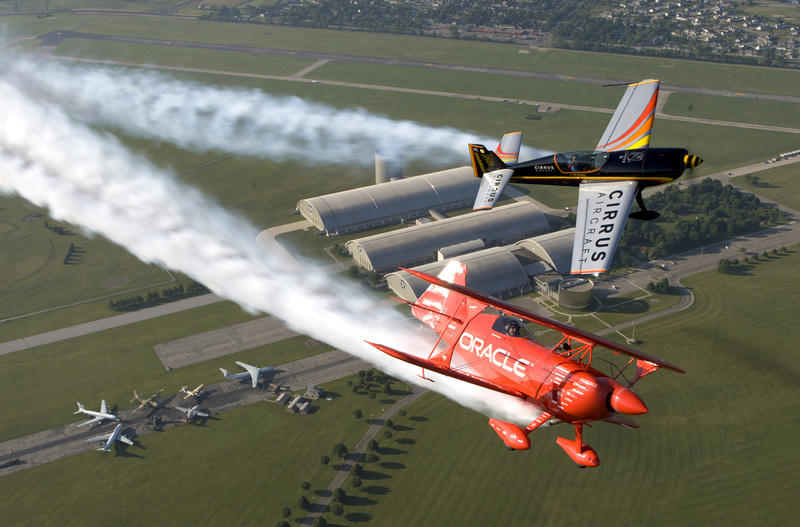 Thanks to all the pilots, Sean D. Tucker and Brian Norris from Team Oracle for the safe and successful mission. Brett Hunter in his Pitts Special and Emerson Stewart III in his Citabria. 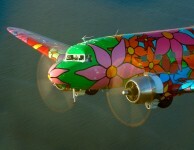 Portraits of Hope sponsored this DC-3 to carry flowers painted by terminally ill children during the Centennial of Flight Commemoration at Kitty Hawk, North Carolina. 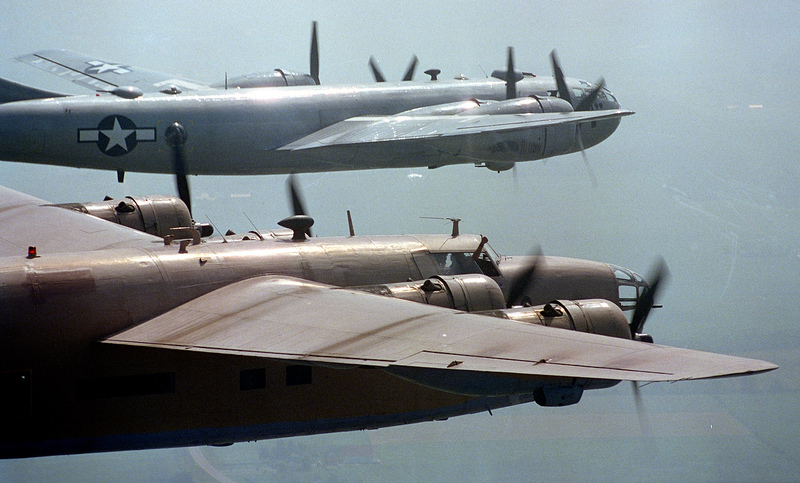 The B-24 Liberator co-pilot signals during a formation flight with a B-29 Superfortress en-route to the Dayton Air Show. 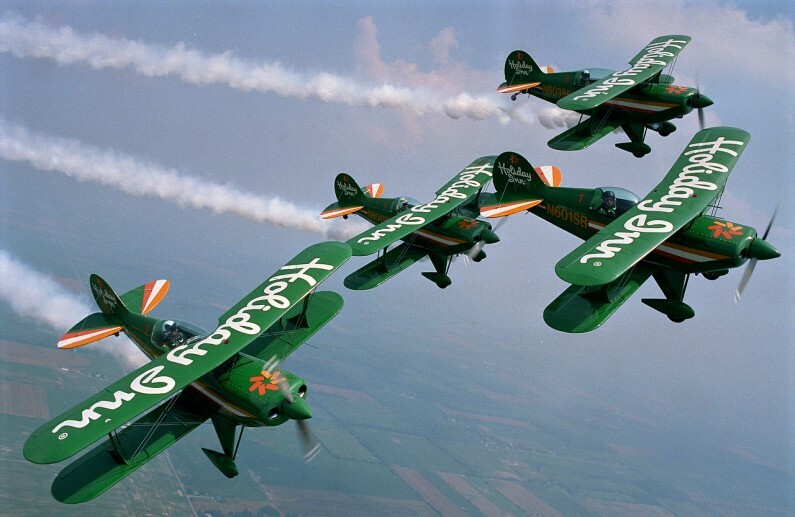 The Holiday Inn Aerobatic Team, 1986. 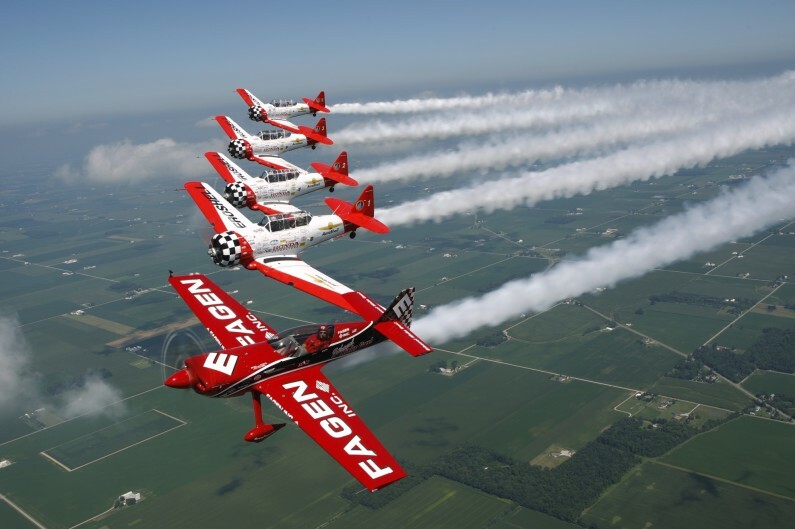 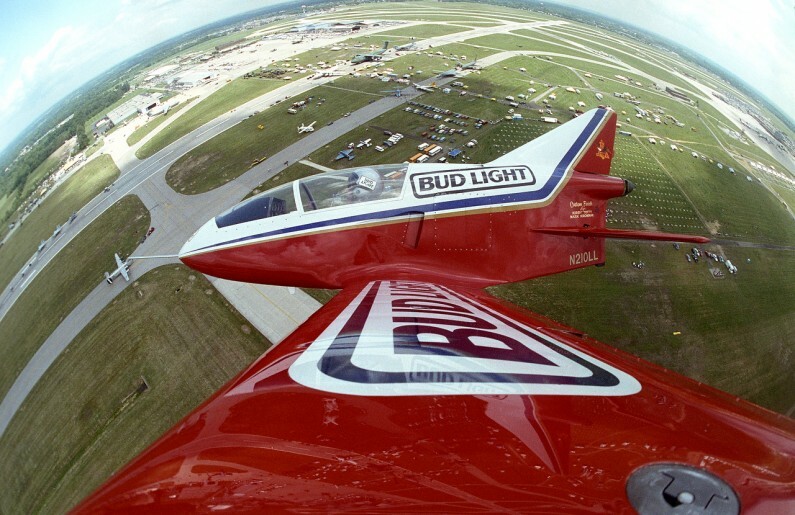 Leo Loudenslager in the Bud Light Micro-Jet over the Dayton Air Show. F4U-4 Corsair at the Gather of Corsairs and Legends, Mt. Comfort, Indiana.